For shared accounts as soon as the payment clears. For VPS servers, it takes approximately 4-8 hours. With a dedicated server configuration it depends on the options. For instance a dedicated server with just a Centos operating system with no options takes less than 24 hours to be activated. If the client needs a Windows environment or other type of server customizations, the activation may take up to a couple days. We accept Visa, MasterCard, American Express, Discover, PayPal, and E-check. What is your uptime guarantee or commitment? 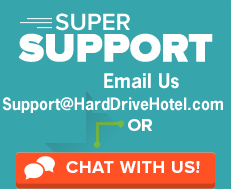 We offer 24/7/365 technical support. Where are your data center(s) located? 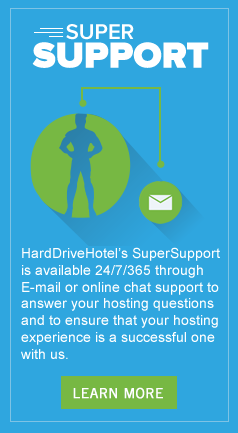 Hard Drive Hotel has two data centers. One data center is located in Royal Oak, Michigan and the other data center is located in Troy, Michigan. Can I host adult or illicit sites or content? No. These type of sites and content will only promote and activity that could compromise the security of our servers. Please see our TOS / AUP for further information pertaining to this.